What’s driving insulin price increases is a complex question with many answers. 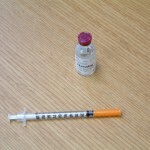 One factor that can be ruled out is the basic price of producing insulin. Ever since pharma companies mastered the technique of using bacteria to create synthetic analog insulin in the eighties, the cost of insulin production has remained relatively affordable.